Posted 5th February 2019 by Geoff Stewart. This is an advanced class. The main lifts are with barbells. You must know how to perform these movements without instruction and be confident in holding form whilst under fatigue. Other than that, all are welcome! We’re going to warm you up for this one as we want you to hit it running. 5x rounds please -in your own time, but not with a cup of tea. 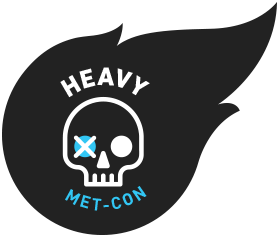 The main event, this isn’t designed to be a super heavy workout but it is HEAVYMETCON people so let’s not lift twigs. 5x rounds of the below. We would like you to move smoothly and with great form, time each round.